This new MSc programme equips you with the ability to excavate and analyse human remains. Learn the practical skills needed to recover human remains in the field. Gain the theoretical knowledge needed to reconstruct biological profiles from hard tissue, supported by laboratory based training. The programme is suited for students from a wide range of BA and BSc backgrounds. This MSc will provide a firm foundation for continued work, or PhD research, in anthropology, archaeology and related forensic fields. 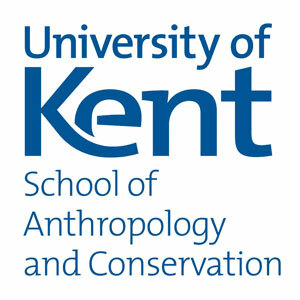 With specialisation in forensics and paleopathology, osteology, evolutionary psychology and the evolutionary ecology and behaviour of great apes Kent is one of the largest institutions for biological anthropolgy. The School also houses the Skeletal Biology Research Centre (SBRC) which brings together innovative research, novel methodologies and international collaborations. Kent Osteological Research and Analysis (KORA) is an enterprise unit based within SBRC offers osteological analyses of human skeletal remains. Kent has pioneered the social anthropological study of Europe, Latin America, Melanesia, and Central and Southeast Asia, the use of computers in anthropological research, and environmental anthropology in its widest sense (including ethnobiology and ethnobotany). We maintain an active research culture, with staff working in many different parts of the world. Our regional expertise covers Europe, the Middle East, Central, Southeast and Southern Asia, Central and South America, Amazonia, Papua New Guinea, East Timor and Polynesia. Higher degrees in forensic anthropology create opportunities in many employment sectors including academia, archaeology, police sector, the civil service and non-governmental organizations through work in areas such as human rights. A forensic anthropology degree also develops interpersonal and intercultural skills, which make our graduates highly desirable in any profession that involves working with people from diverse backgrounds and cultures. Visit the MSc in Forensic Osteology and Field Recovery Methods page on the University of Kent website for more details!